South Africa is known as the Rainbow Nation – a country made up of many different peoples. A wonderfully diverse and unique place, this melting pot of cultures means that there are lots of different foods and dishes to choose from. Some argue that it was the search for food that shaped South Africa. From the original occupants with their traditional African diet to the Dutch in search of spices and the French with their vines in the 1600s, and later the British and the Germans in search of gold, South Africa has one of the most extraordinary cuisines in the world. If you feel like trying something new and challenging, you can try crocodile sirloins, fried caterpillars and sheep heads. They are reputed to be delicious, if you can stomach the thought of it. If you don’t quite fancy fried caterpillars for lunch, there are lots of other, tamer options for you to try that still mean that you’re trying the local food. There are lots of indigenous recipes that are not as strange. Biltong is an air-dried meat, usually beef, which is a bit like jerky. Everyone everywhere appears to love it so it should be easy to find. Bobotie is a heritage dish from Cape Malay. Similar to the British dish of Shepherd’s pie, the mince meat is curried, and rather than mashed potatoes, the topping is frothy custard. Boerewors is a farmer’s sausage made with beef or pork, grilled on an open flame. If you’re looking for authentic South African cuisine, then you need to head to Wandies Place in Soweto or The Africa Café if you’re in Cape Town. 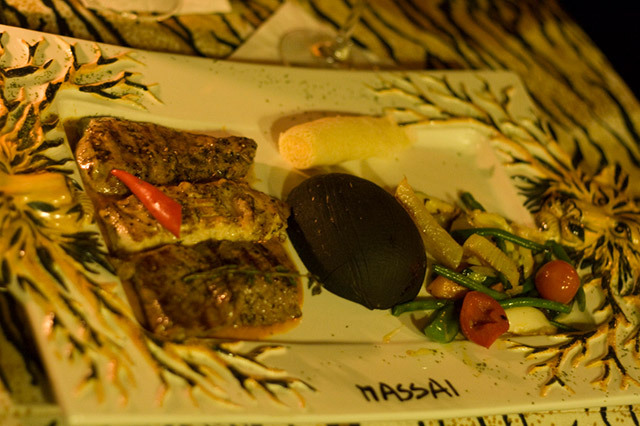 Restaurants that specialise in African food are rare, but you can find them if you look carefully. Most eateries will offer a global menu, anything from hamburgers to pasta to sushi, so if you’re not even slightly adventurous, then you will be able to eat something familiar. Most cities offer a range of different cuisines, so you’ll be able to find something to suit your tastes. As well as many different cuisines, there isn’t another country with as diverse a landscape, where you get to see hippos and penguins. From desert and savannah to rivers and beaches, you will really get your money’s worth when you visit South Africa. If you are planning a visit but don’t know where to start, you can find a great selection of deals with a company such as Flight Centre.